The Chicago Cubs announced Wednesday that they have extended their player development contracts with all of their minor-league affiliates — including the South Bend Cubs in the Midwest League — through the 2022 season. 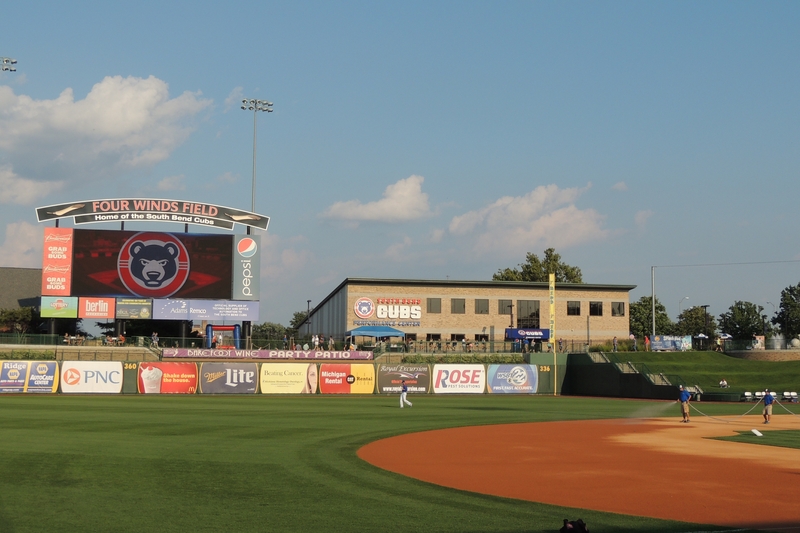 South Bend became the Cubs’ MWL affiliate beginning with the 2015 season, after a four-year deal was reached between the clubs in September 2014. The Cubs extended the deal in June 2016, putting it into effect through the 2020 season. Now, again, the Cubs have extended their PDC with South Bend well before it expired. Clearly, and not surprisingly, the Cubs are pleased with the affiliation. Next year is a big one for the South Bend Cubs, who will host the Midwest League All-Star Game on Tuesday, June 18 — South Bend’s first Class-A midseason classic since 1989. This entry was posted in 2019 All-Star Game, Midwest League, South Bend Silver Hawks. Bookmark the permalink.